"Sukhdham in the local language means 'Abode of Bliss' and that is exactly what the visitor experiences. Set in a lush orchard, the architecture is an excellent blend of British and Indian style, with open terraces, arcades, arches and intricately carved stone screens. The heritage resort prides itself for the legendary Rajput hospitality. The natural surroundings of Sukhdham are the habitat for a variety of birds. Peacocks roam freely in the gardens. 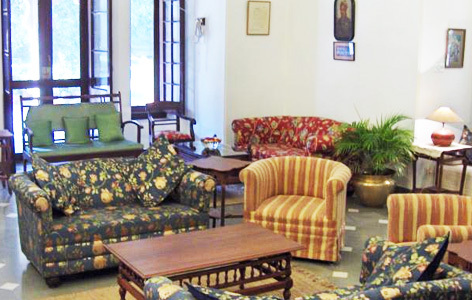 The luxury hotel retain the charm of a heritage home and conveniences of today's times. Sukhdham traces its history back to the 19th century. After the 1857 mutiny, Sukhdham was built as a safe haven in 1870. In 1922, His highness, Umed Singhji, Maharao of Kotah, christened it Sukhdham. In 1929, it became the residence of Col. Thakur Prithvi Singhji, M.B.E., General Officer in Commanding, the Kotah State forces. 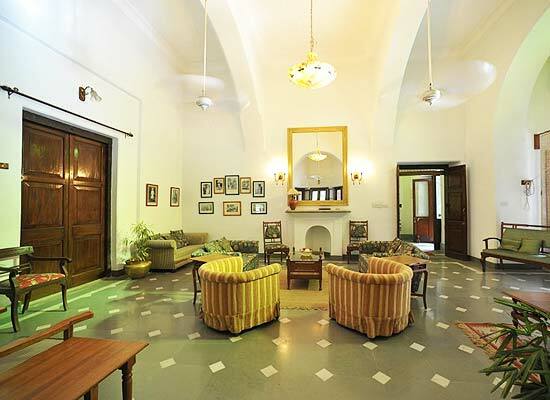 His only son Thakur Jaswant Singhji inherited Sukhdham and in 1996, converted into a heritage hotel. Jaiwardhan and Harshwardhan Singh, the grandsons of Col. Thakur Prithvi Singhji are the current hosts. Sukhdham in Rajasthan is set amidst a beautiful orchard and the 15 rooms that are available offer all modern day amenities. Generally there is a bath tub placed inside the toilet with 24 hours running hot and cold water facilities. 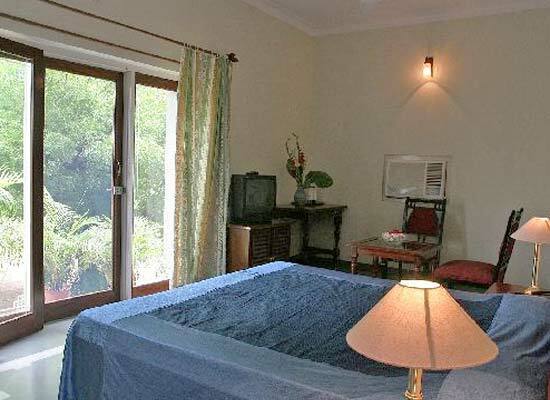 There is also a room television that is placed in an apt corner and a telephone with ISD facilities. Sukhdham hotel offers traditional dining. 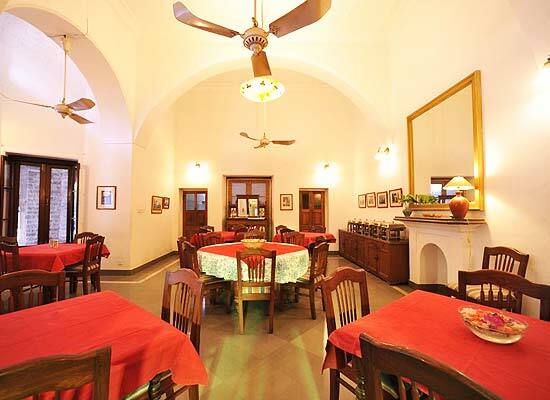 The dining hall has a pleasant ambience reminiscent of the Victorian era and the gastronomy is the authentic platters of India especially Mughlai and Rajasthani. Depending on the season, you can dine in the garden under the stars. Candle light dinners, gala dinners with bonfire and cultural programs can be arranged on prior intimation.